The final roster came together this weekend when the Mets coughed up out-of-options pitcher Matt Ginter 13 in a trade to the Tigers for a stashable lefty reliever, Steve Colyer, and revealed that veteran relievers Matthews, Heredia, Aybar and Hernandez had edged out worthy youngster Heath Bell; while Bartolome Fortunato went down with an injury. The 12-man pitching staff probably cost powerhitting rookie Luis Garcia a spot on the bench. 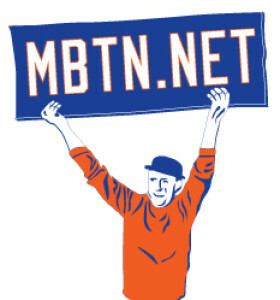 We suspect there will be plenty of churn in the bullpen, where there’s too much age and many lefties, and that the need for a right-handed power bat on the bench will be apparent shortly, but today’s not the day to be pessimistic, so, um, Let’s Go Mets! Joining the Coaches and Managers List: 2 Sandy Alomar; 12 Willie Randolph; 50 Manny Acta; 52 Guy Conti; 53 Jerry Manuel; 54 Rick Down; 55 Tom Nieto.